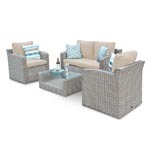 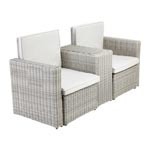 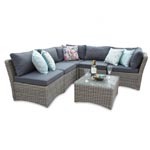 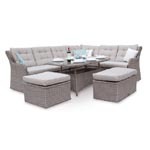 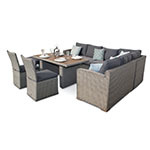 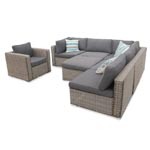 Windsor 6 Seat Armchair Set by Leisuregrow on a rust free aluminium frame with woven poly rattan. 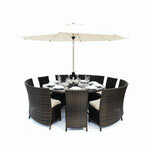 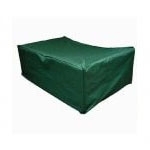 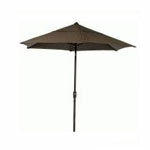 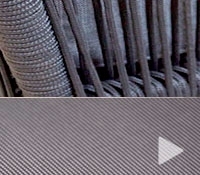 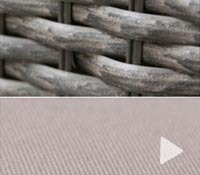 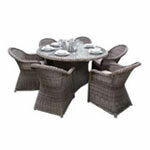 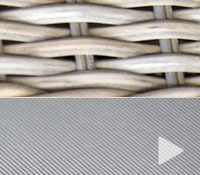 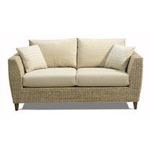 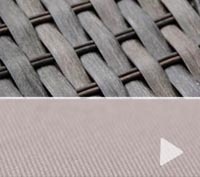 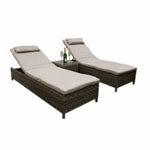 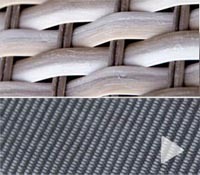 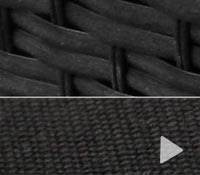 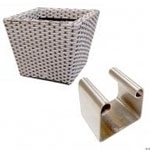 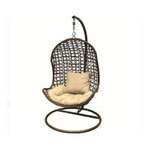 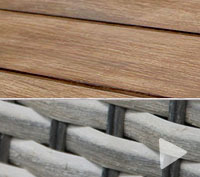 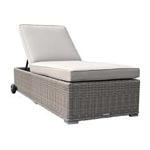 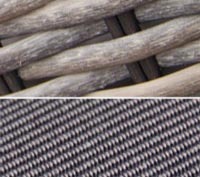 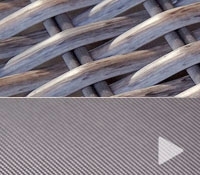 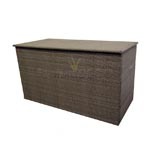 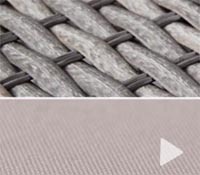 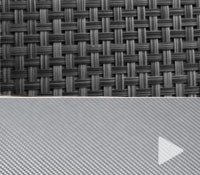 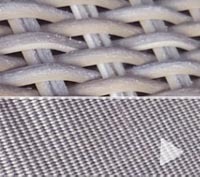 Quality rattan garden furniture, giving you a maintenance free furniture. 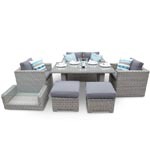 Leisuregrow's Windsor 6 Seat Armchair Dining Set from their aluminium garden furniture collection is a beautifully designed and well-crafted aluminium dining set that will add a cosmopolitan look and feel to your garden. 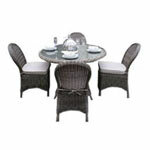 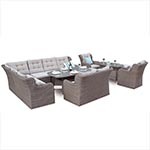 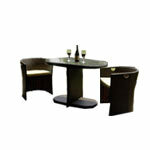 With six luxurious armchairs and a spacious dining area, this aluminium dining set is perfect for larger gatherings. 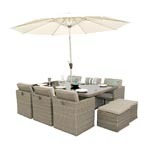 Ideal for those lazy summer afternoons, you can relax and enjoy each other company outdoors with this aluminium garden dining set. 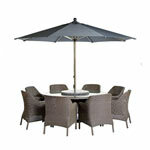 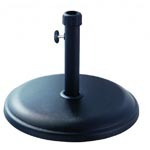 Crafted from cast aluminium with a powder coated black finish, this garden dining set is made to last, and so low maintenance. 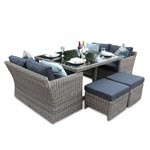 The Windsor Armchair Dining Set offers a modern take on traditional aluminium garden furniture, with its eye-catching wine coloured cushions making sure that it will make a statement in your garden space!